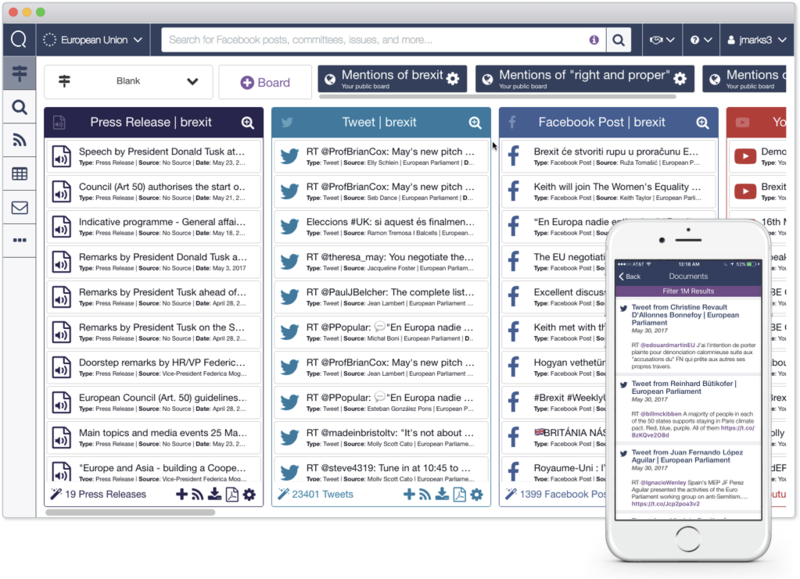 Meet Quorum EU, Europe’s Premier Public Affairs Platform. 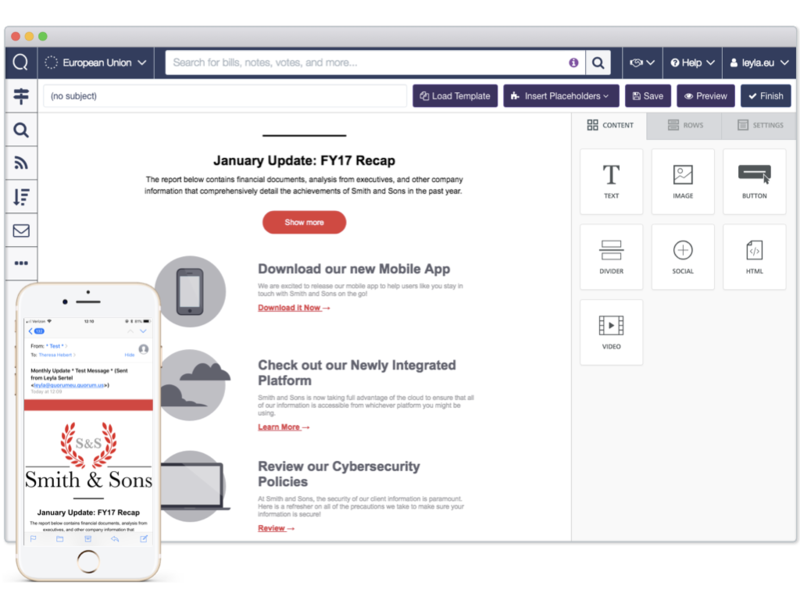 Seamlessly share information across your team with Quorum’s mobile app and interaction logger making it easy to track relationship history and upload meeting notes. 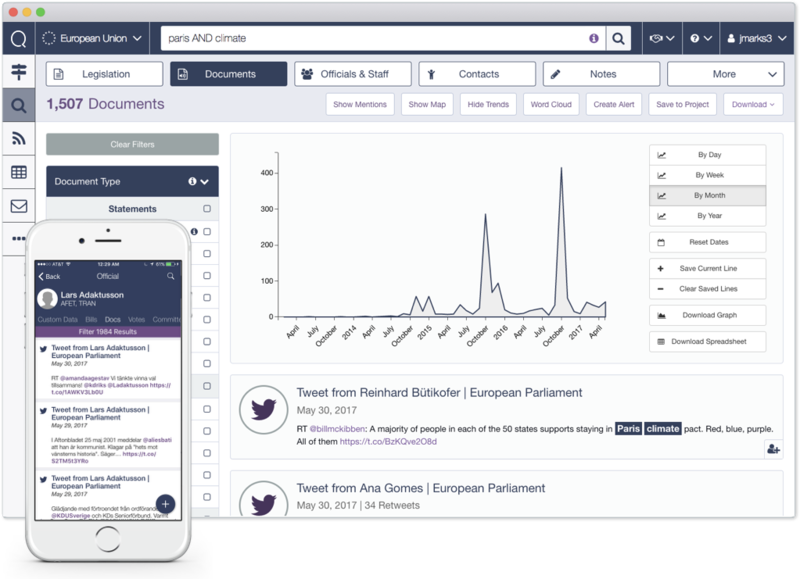 Make sure you never miss a mention of your issues or organisation by elected and appointed officials in their tweets, press releases,YouTube videos, parliamentary questions, speeches in plenary as well as EU legislation. Use data to inform your advocacy, whether it’s the number of meetings you took, which stakeholder is mentioning your issue the most, or how the volume of conversation compares over time. 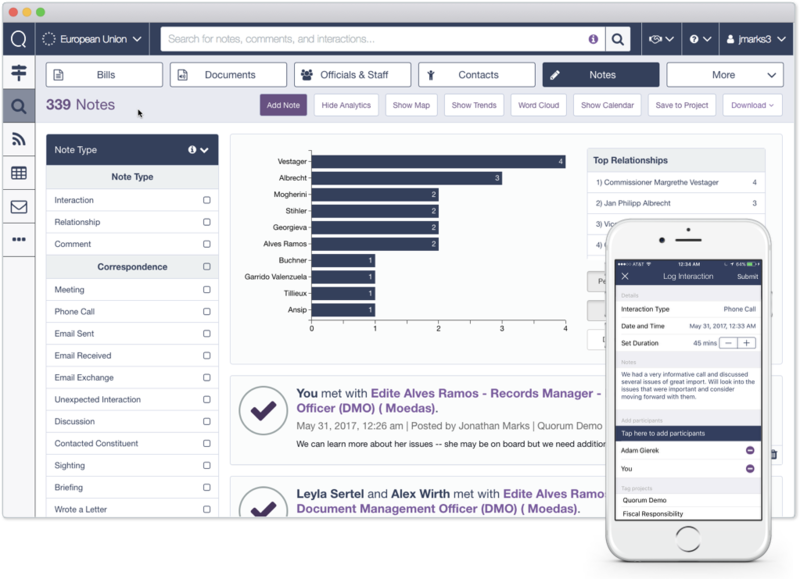 Quorum Outbox makes it easy to design and send emails to policy makers, their staff, and other stakeholders. Easily measure your engagement by tracking open rates, clicks, and more.